You're wondering why I have these photos of two very striking women at the top of this review. Well, let me tell you about each of them. 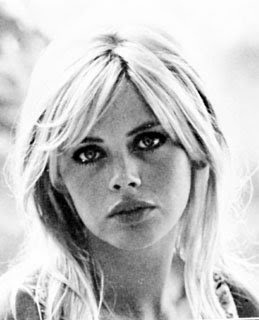 The one on the left is Britt Ekland, featured in The Night They Raided Minsky's, recently released on DVD. The one on the right is the late Suzanne Pleshette featured in If It's Tuesday, This Must Be Belgium, also recently released. Ekland is a Swedish actor, underrated in my opinion, whose career never gained the notoriety that her private life has. Best known for her role as Mary Goodknight in the 007 adventure The Man with the Golden Gun (1974), she also made some more than respectable appearances in such films as Get Carter(1971), The Wicker Man (1973), and Scandal (1989). But she will always be better known for marrying actor Peter Sellers, who proposed after having only seen her in a picture. She also had a long relationship with Rod Stewart, before having a series of relationships with other rockers such as John Waite and L.A. Guns singer Phil Lewis. Her daughter with Sellers, Victoria, has been in the news, primarily stemming from her association with "Hollywood Madam" Heidi Fleiss. Pleshette was an American actor, also underrated, who was often cast as the supporting character in such movies as The Birds (1963), Nevada Smith (1966), Support Your Local Gunfighter (1971), and was a frequent guest star in a long list of TV shows including Route 66, Ben Casey, Kojak, and Will & Grace. She was best known for playing Emily Hartley on The Bob Newhart Show which led to one of the best cameos in TV history in the later series, Newhart. In Newhart's series finale, Bob Newhart wakes up describing a strange dream, about being an innkeeper in Vermont (the premise of Newhart), to Pleshette who reprises her role as Emily. Sultry and sardonic, she later played the title role in a TV biopic called Leona Helmsley: The Queen of Mean (1990). She died on January 19, 2008 of respiratory failure. I tell you all this, and show you each of their photographs, because they are each the best reasons to see their respective movies. Minsky's is a badly executed film with an interesting premise. Notable mainly for being William Freidkin's sophomore directorial effort (though it was released after his third movie), and Bert Lahr's (The Wizard of Oz's Cowardly Lion) last appearance, the story had potential. Ekland plays an Amish woman who runs away from home to join Minsky's Burlesque, and inadvertently becomes the innovator of the striptease. Her onstage sexual awakening at the end of the film is both funny and assertive, despite being surrounded by leering men. It's too bad that the film is edited past the point of comprehension. The signs are there that a lot of effort was spent in trying to save the movie, as there are numerous zoom shots which, because of excessive graininess, appear to have been created in post-production. Belgium on the other hand is a pleasant romp that follows Pleshette on a whirlwind tour of Europe while she falls in love with their tour guide (an unexpectedly dashing young Ian McShane from Deadwood). Directed by Mel Stuart (Willy Wonka and the Chocolate Factory), it is full of cameos by John Cassavettes, Joan Collins, Vittorio De Sica, Ben Gazzara, Virna Lisi and Robert Vaughn, among others. Witty and disarming, it is enjoyable, but beyond that, it is such a trifle, that the only thing I can really hang my recommendation on is a chance to see Pleshette carry a movie. Not bad enough to be offensive, but not great enough to be classics, don't expect anything more than the chance to appreciate these two underrated actors in these films.